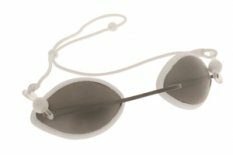 LaserShields® are available in contemporary styles for those who wear prescription glasses as well as those who do not. Patient, post-treatment and pediatric filters are also available. NoIR welcomes new product development projects.